Input text: a ball. 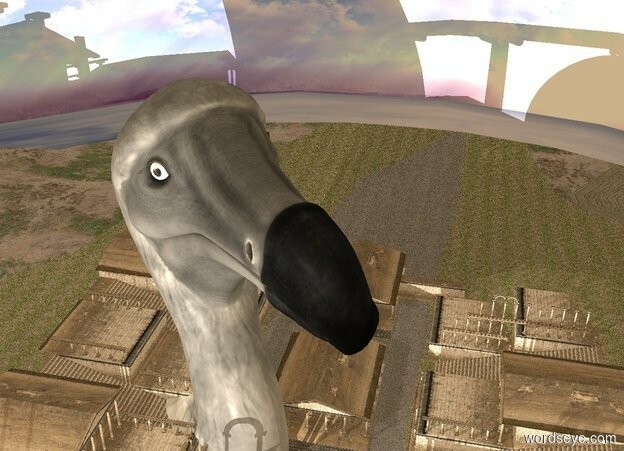 a 600 feet tall gray dodo is 1000 feet behind and 1000 feet left of the ball. 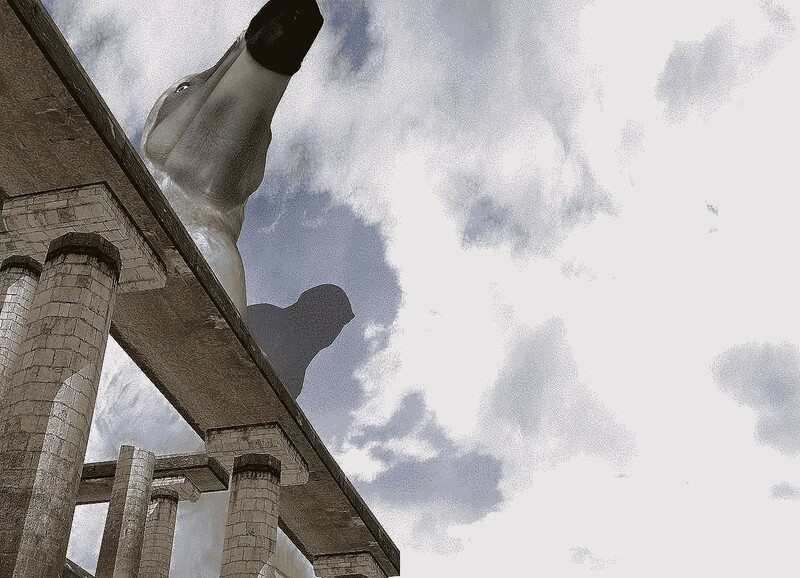 the dodo is -20 feet above the ground. it is facing southeast. the camera light is black. it is morning. the sun's azimuth is 190 degrees. the sun's altitude is 10 degrees. a 1st dim white light is in front of the dodo. a 2nd dim white light is 500 feet above the 1st light. a 3rd dim white light is 1000 feet above the 2nd light.. a 4th dim white light is 500 feet above the 3rd light. the ambient light is navajo white. 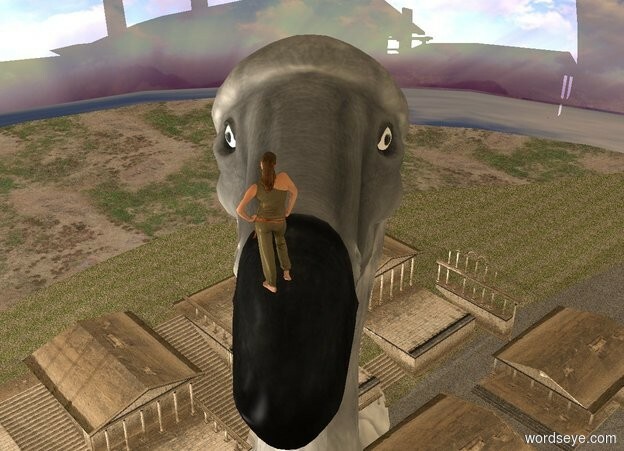 Dodo's answer to King Kong? super (sized) and great responses ! !